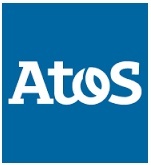 About Us:- Atos is a European IT services corporation with its headquarters in Bezons and offices in France and Munich, Germany. It specialises in hi-tech transactional services, unified communications, cloud, big data and cybersecurity services. • Responsible for maintaining the quality standards for service deliveries, meeting committed SLA on all tickets logged for/by the users, analysis of the location data, ensuring high CSAT. • Managing resources to ensure effective usage. • Responsible to take improvement initiatives by proposing solution, SOP. • Resolving queries/issues within the set TAT and act as Single Point of Contact for any escalation reported. • Good problem solving & technical analytics skills. • Exceptionally strong technical skills of Desktop / laptop / Printers / Network /cabling/ Wireless routers etc. • Technical knowledge of operation and functioning of End user computing, Network (VLAN) and Windows Servers. • Exposure in any hardware/software installation, troubleshooting network and VPN related issues.